Wing Chun as a Martial Arts (or any style) is NOT meant to be pretty!!!! The true essence of Wing Chun or any martial art is not what’s glamorized on the silver screen. That’s pure choreography. Your perception of the reality of self-defense is captivated by the slick movements of movie stars who practice day in and out to perfect a “dance”. In short, it causes your jaw to drop and infuses a sense of “i-can-do-that” in any type of confrontation. ~~~~~~~~~~~~~~~~~~~~~~~~~~~~~~~~~The true nature of Wing Chun or any martial art is not bounded or defined by your lineage. Claiming a particular lineage does give insight into our background of training and gives a history of tradition where one can trace their “roots” to a single beginning. Your lineage, is not however, the end all of information and the ultimate source by which you swear undying allegiance to and cut-off any other golden nuggets of information that may enhance one’s knowledge of self. Wing Chun is not defined solely on how one uses the wooden dummy or the way in which one does any of 3 open-hand forms. It’s not solely dependent on one’s techniques and prowess in chi sao. And it’s not in based on the teachings/instructions of one sifu, who happens to be one generation removed from our modern day master. ~~~~~~~~~~~~~~~~~~~~~~~~~~~~~~~Wing Chun in it’s simplest form is destroying chaos, by any means necessary, using skills and quick movements, all within the framework and structure of an art form that was developed almost 400 years ago. 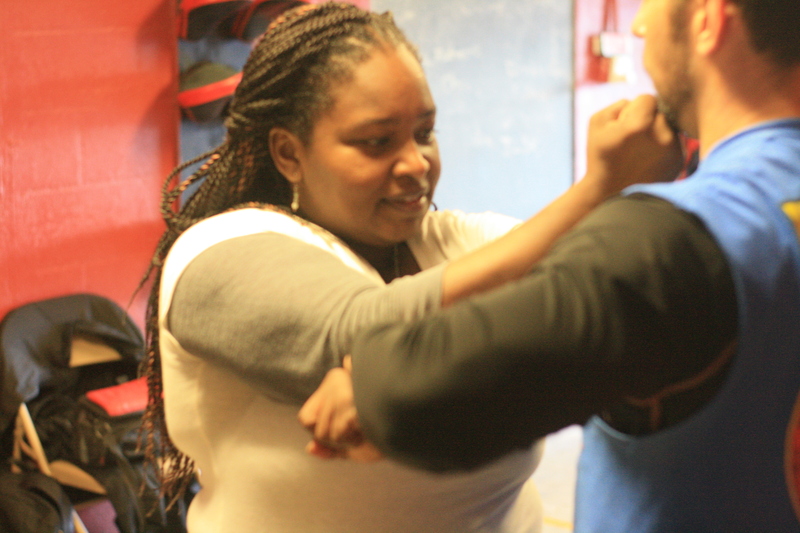 It is your ability to use Wing Chun as a martial arts vehicle of self-defense to do one of two things. The first being able to de-escalate a potential problem through calm means and the second, is to run through your opponent when your back is against the wall. The latter being the only choice against an opponent who is less than willing to resolve conflict through reasonable solutions. here you go @i_inspire_247. one of the clips, slowed down . ****************** Wing Chun broken down into 4 quick moves. Each freeze frame shows the progression of my attacks. ****************** . Wing Chun in it’s simplest form is destroying CHAOS, by any means necessary, using skills and quick movements, all within the framework and structure of an art form that was developed almost 400 years ago.